If you're an engineer who wants to be a data architect, this course is for you. You'll explore data architecture as a science including vital topics such as data weight, data modeling, streaming, and interface design. You'll learn about the different types of architects, and discover the best model for you. You'll be able to recognize good architecture (and how to avoid bad architecture). And you'll get a solid understanding of the disciplines that mark the difference between an average architect and a great one. You are a software engineer and want to deepen your understanding of architecture rules to move past just coding. You are a software architect who wants sharpen your skills. You are a product manager and you what to know what traits to look for when selecting a data architect. Familiarity with data analytics and data modelling. Some experience with software development and the software life cycle would be helpful. Ted Malaska is the director of enterprise architecture at Capital One. Previously, he was on the Battle.net team at Blizzard Entertainment, he was also a principal solutions architect at Cloudera, where he helped clients succeed with Hadoop and the Hadoop ecosystem, and a lead architect at the Financial Industry Regulatory Authority (FINRA). 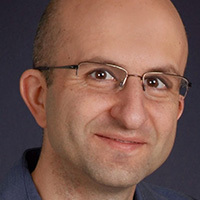 He has contributed code to Apache Flume, Apache Avro, Apache Yarn, Apache HDFS, Apache Spark, Apache Sqoop, and many more. Ted is the coauthor of Hadoop Application Architectures, a frequent conference speaker, and a blogger on data architectures.